The past month has been huge for both iPhone and Android fans. 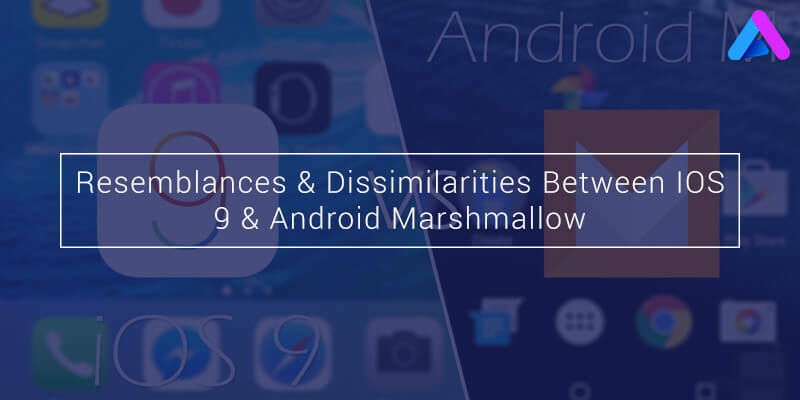 While iOS launched its new version iOS 9, Android too came up with a new sweet update Android Marshmallow or Android M. Both of these OSes are a class in themselves and we thought that you would love to see both the new updates vis-à-vis. Read below to know more. Android M and iOS 9 for the most part look quite identical. Both the OSes haven’t changed (visually) much this time. Like, both the operating systems support app icons on the home screen and support widgets in their own ways. Yes, there are some small tweaks in each (like the new font in iOS 9), but majorly, Android M retains the look of its previous version Lollypop while iOS 9 retains the look and feel of iOS 8 and iOS 7. It is a fact that no matter whether your phone is Android or iOS, your smartphone becomes redundant if your battery dies. Many people think battery life is only a hardware issue, but the truth is quite different. Both Google and Apple know this fact very well and considering this, they have come up with features called Doze and Low Power Mode respectively. In both Android M and iOS 9 Google and Apple have created new features called Doze and Low Power Mode, respectively. 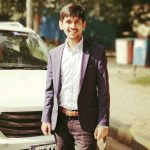 Android’s Doze takes a leap ahead here as it uses a phone’s motion sensors to detect if it is being used or not, suppose your phone is not in use, Doze would power your phone accordingly. At the same time, if we analyze Low Power Mode on iOS 9, it provides the users with a toogle that enables them to make settings in order to conserve battery. However, iOS phones are always considered as battery efficient as compared to Android. iOS has the most sought after feature known as ‘Siri’ and this time iOS 9 has come up with a feature called Proactive along with improved Siri. Proactive is a screen that at first observes which apps you use the most and whom you contact the most. After this, it presents you with the shortcuts to those apps and contacts. Siri has also seen considerable improvements and it’s much more classy than earlier. Google has Google now, which is more or less the same as Siri. Accuracy of Google now is more trustworthy than its closest counterpart Siri. Here Android M has a new feature known as ‘Google Now on Tap’ which is able to understand the context of your question based in the app you are in and this in turn, helps it displaying more relevant results. One area where iOS 9 has emerged as a pioneering platform. And, that is – its compatibility. iOS 9 is compatible with almost all the old versions that include 8 different models. Even iPhone 4s, which is about 5 years old would be able to enjoy the benefits of iOS 9. As far as Android M is concerned, it won’t be compatible with the phones that are older than a few years. Many Android users would be left out, however, in case you have high end phones from Samsung, HTC or LG, you would get the privilege within a short period of time. iOS is considered to be the most trustworthy operating system when it comes to privacy related features. It hasn’t introduced any big privacy feature, but it still protects your data. Android M has borrowed many privacy features from iOS which is a good thing. It has 8 core permissions that users have to grant apps, including access to mic, contacts, medical data and more. This is quite interesting because earlier Android followed the approach of “all or nothing”. In Android M Google Wallet has been rebranded Android Pay– a clear swipe at Apple Pay. While both payment platforms are quite identical, the good thing is, it supports fingerprint scanners on Android devices. This means many more devices will be compatible with Android Pay by default. On the part of iOS9, the fingerprint scanner is faster than ever and new Apple Wallet app now supports loyalty cards also. It is quite tough to tell that which update is better because each one has its unique points. Neither of the update is that big. It is interesting to know that operating systems are moving towards feature parity with each other-borrowing the best of each other’s features. Within five years or down the line, each OS could be virtually identical.